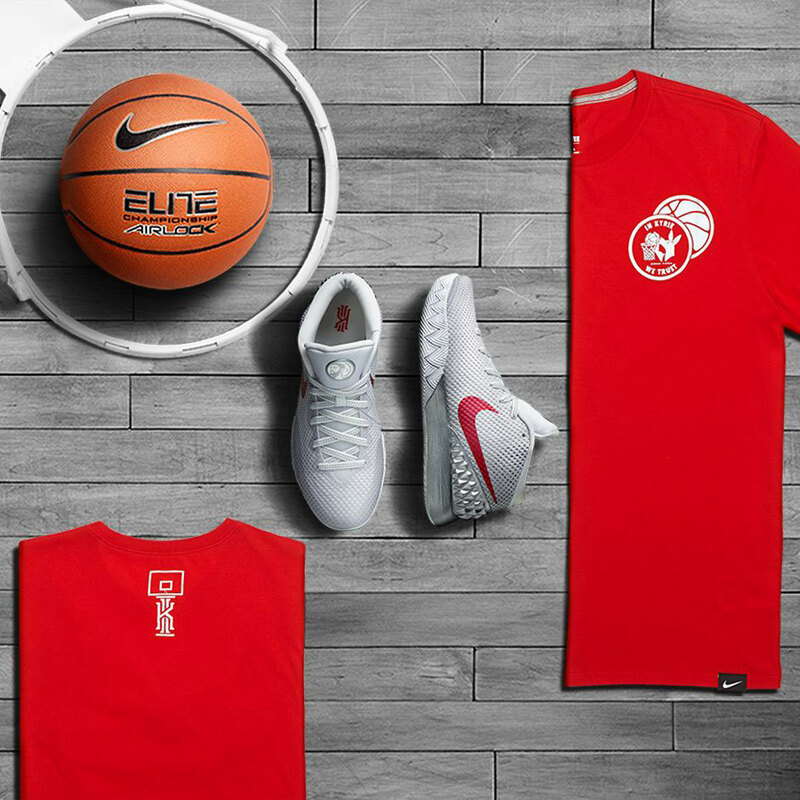 Nike Basketball released their "Opening Night" collection for their signature NBA athletes such as LeBron James, Kobe Bryant and Kevin Durant.  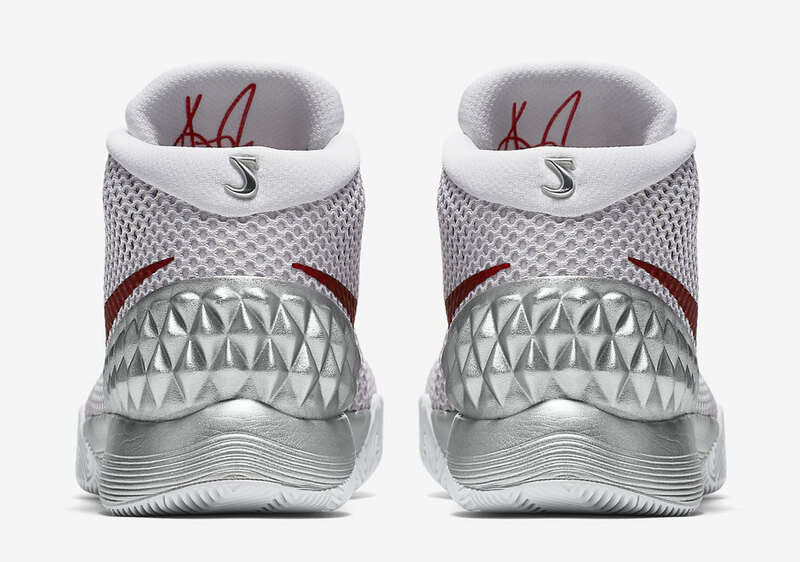 The one person missing was Kyrie Irving, who is still out as he recovers from his injury he suffered in the NBA Finals. 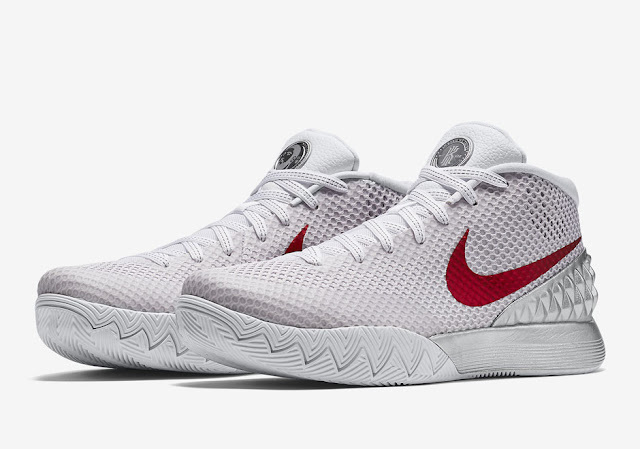 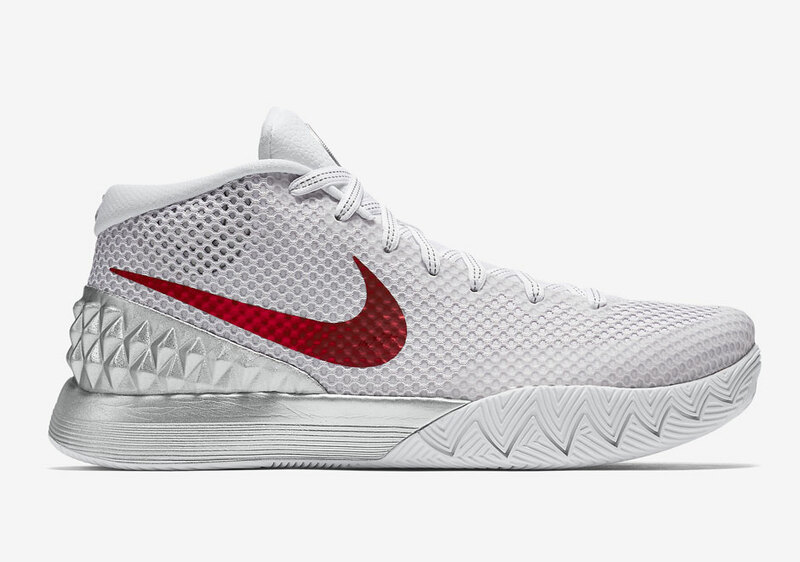 Nike is now re-naming the shoe as the "Double Nickel" Kyrie 1s, in tribute to when the Cleveland Cavaliers star point guard dropped 55 points on the Portland Trail Blazers in January. 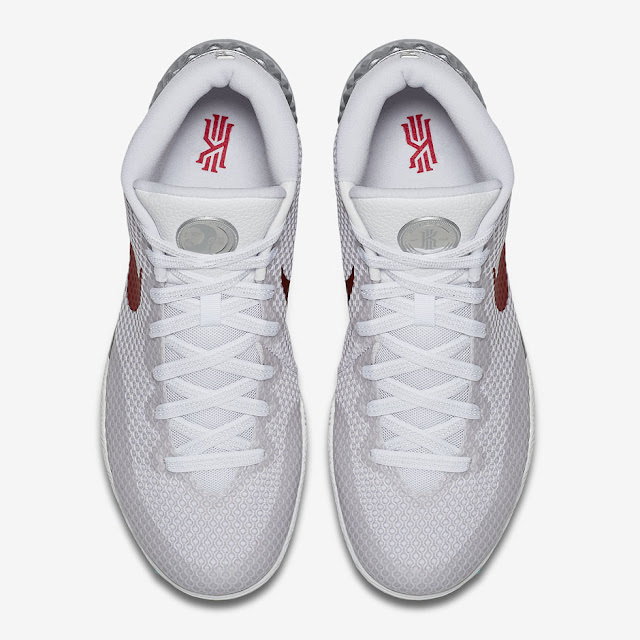 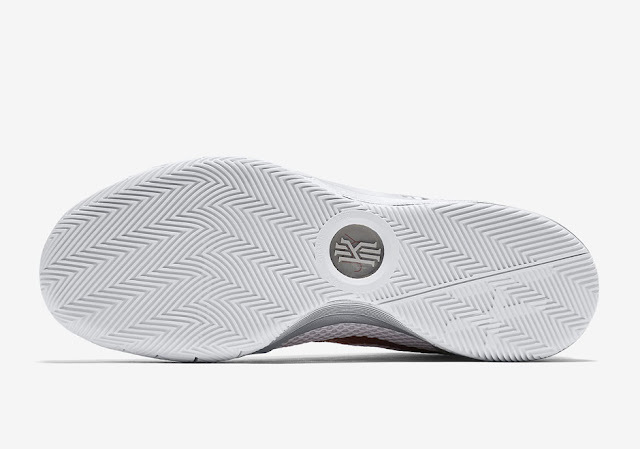 The shoe features an all-white upper with silver and red accents on the midsole, swoosh and back. It's very unlikely Irving will debut the 2015-16 season in these, as the Kyrie 2 will be on the way by then. However, it's a good shoe to cop as it will be one of the final colorways of the Kyrie 1s. 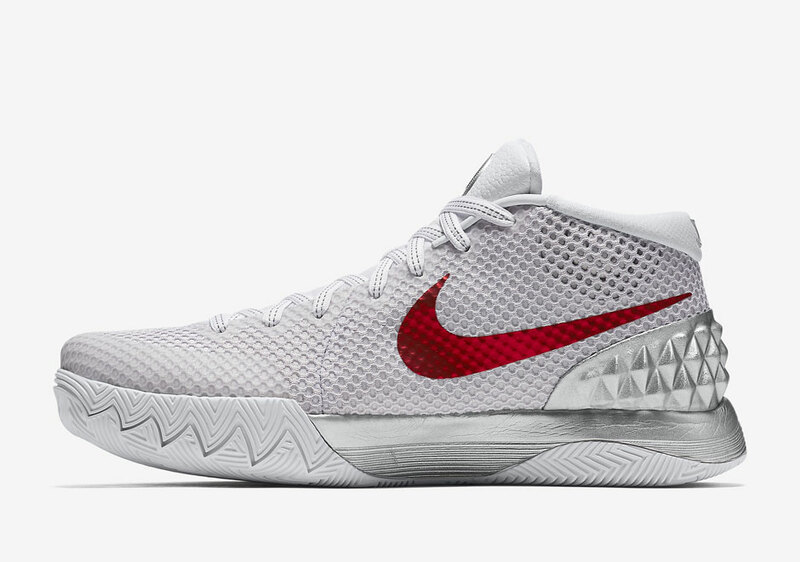 Unfortunately, the catch about this release is that it will only come out in China on November 11, Sneaker Bar Detroit reports. We'll keep you updated if it gets a release in the US, though.